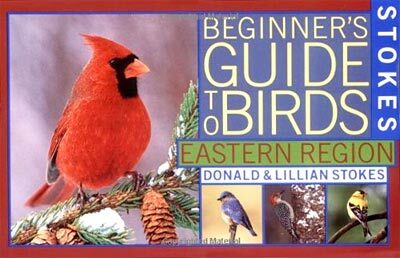 Foster a beginning birder's education using the Stokes Beginner's Guide to Birds: Eastern Region. This short work features descriptions of over 100 birds, as well as information on habitat, nesting habits, and behaviors. A large color photograph accompanies each description, including separate photos if the plumage differs on males and females. The book is organized by plumage color, with quick color tabs for reference. Tips on the bird's behavior are provided under every photograph, and a habitat map appears in the bottom corner of each page. This easy-to-read work is the perfect starting point for any budding bird aficionado.